Hayley has over 25 years experience as a manager and trainer specialising in personal and organisational development. She has worked in the public and private sector as a Management and Communication skills trainer specialising in leadership and change programmes, performance management, personal effectiveness and Womens’ Development. 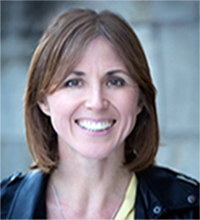 A Fellow of the Chartered Institute of Personnel and Development, NLP practitioner and accredited Emotional Intelligence assessor she has led on Workforce and Organisational Development in Education, central and local government.